Fear of driving is a very common and we understand it is very important to provide the right atmosphere for our students. That's why we have a no shouting policy. It's our responsibility to make sure you are comfortable behind the wheel. Which is why our instructors get that little bit extra training above the standard you'll usually see out there. Driving instruction is about listening and responding to your needs. In the end that is what being a driving instructor is all about. You, our student, and your safe development into a competent driver. We have seen students consistently progress faster with the use of our home study support material. Our extra bonus training will give you the head start all your EDT driving lessons, on road rules and on the driving test. 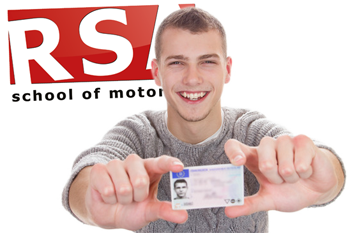 No other Naas driving school offers such a comprehensive service as this. It is an unfortunate fact that Ireland is one of the worst countries in Europe for road deaths and accidents. In an effort to stem these statistics the Road Safety Authority introduced a new and compulsory training initiative for new drivers. The Essential Driver Training or EDT. There is learning the vital driving skills and developing your knowledge of road signs and road safety. And then there is learning to pass the driving test. Being allowed to drive by yourself on Naas roads is a freedom you will need to earn and the driving test is your chance to do it. And naturally, as with any test, if you understand the conditions and what to expect you can pass easily. Check out pretest packages in Naas here... or Call (045) 256 987 now to book your pretest package. Your Naas driving lesson can come and go in the blink of an eye. Remembering all this new information under driving lessons conditions can be tough. But we don't leave you high and dry. To help you develop fast and help you remember all the driving techniques our instructors teach, we have engineered our own exclusive home study driver training course delivered straight to your inbox to guide you through your EDT to the test. If you're looking for great value... you just found it. Did you know that 10% of all tests stop before they even begin because learners turn up with a vehicle that isn't roadworthy. Turn up in a vehicle that doesn't have all lights and safety features working, or have up to date tax and insurance then you fail the test before it has even begun. We always advise that you hire a professional driving instructor car to ensure that your test goes ahead and you send the right signal to the driving tester. We have some great Naas Pretest Car Hire Bundles so go check them out. When we were in school we all had our favorite teachers, the ones that engaged us and made learning fun. And we can recall the poor teachers that had no business teaching anyone. Not all teachers are made equal and that is certainly no less a fact with driving instructors. It is easy to Google 'Driving Lessons Naas' and find driving instructors near you but which can you trust to best teach you. Experience and professionalism is what you need from a driving instructor. A driving school that gets pupils past the test. Look no further. 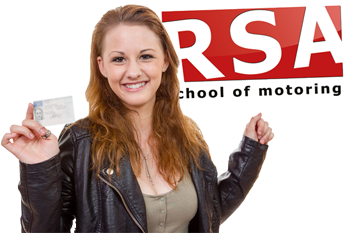 We have female driving instructors all over Naas. People joke about female drivers. Not any more. Book your lessons with one of our lady instructors and find out why they are some of the best instructors in Naas. We want your driving lessons to be convenient and easy to do. 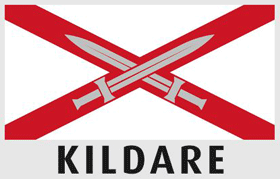 That is why our driving instructors will pick you up and drop you off from your chosen Kildare locations*, be it work, home or college. What self respecting driving school doesn't offer automatic driving lessons in Naas? We can offer all our students driving lessons in automatic or manual dual controlled vehicles anywhere in Naas. Give us a call to find out more. So what are you waiting for? 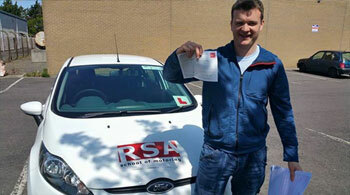 Our Naas driving instructors would be proud to teach you to drive so call us today. We look forward to hearing from you.